Dr. Ben Talei, a dual board certified plastic surgeon is a recognized expert in hairline lowering and forehead shortening procedures. 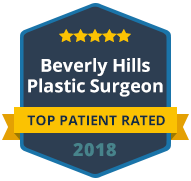 As director of the Beverly Hills Center and Beverly Hills Hair Group, he commonly treats patients with tall foreheads who are looking for a more substantial improvement than hair transplantation alone can provide. 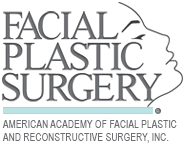 What is a ForeheadPlasty or Hairline Lowering Procedure? A Foreheadplasty is also known as a Hairline Lowering, Forehead Shortening, Forehead Reduction, Scalp Advancement or FiveHead Reduction surgery. This procedure involves a camouflaged incision known as a Trichial, Pretrichial, or Precapillary incision being placed along the anterior hairline in order to release and advance the hair-bearing scalp forward. Most hairlines can be advanced easily between 2-4cm and the excess scalp skin is removed. The primary goal of this procedure is to shorten the height of the forehead skin and lower the anterior hairline position in patients with disproportion in the upper face or excessively long foreheads. Am I a good candidate for a ForeheadPlasty or Hairline Lowering? Foreheadplasty has a rapid initial recovery, but the overall healing time for the incision and return of sensation is quite long. This means that you should be committed to doing this procedure prior to jumping into it prematurely. The most important factor to consider, other than necessity, is that the hairline should be strong, dense and stable. If recent hairline recession or hair loss has occurred you may not be a candidate for this procedure and undergoing the procedure may ultimately cause you more harm than good. Having a tall forehead doesn’t necessarily mean you need this procedure. It is more important to analyze the facial balance as a whole to help determine the benefit. Taller foreheads may be appealing on many people and classically have been appreciated as a sign of wisdom. It is best to analyze your own photos from the front and from the side while try to envision the change in facial proportions gained by shortening the forehead or lowering the hairline. The lateral view is quite helpful to look at with the hair pulled back. If you follow the curvature of the scalp from posterior to anterior and inferiorly towards the brows you will notice a change along the way as the slope transitions from horizontal to vertical. Most people would consider the face to look more pleasant or aesthetically appealing when the hairline begins as the forehead begins its transition from vertical to horizontal. Placing the hairline too low would give the appearance of a shortened, square forehead, so most patients would benefit from maintaining some of the recurvature seen naturally on most faces. What is the difference between Hairline Lowering Foreheadplasty and Hair Transplantation? The Hairline Lowering procedure is used to remove excessive scalp skin from the frontal head in order to shorten the height of the forehead. This is used in patients with very stable hairlines and nice density. This procedure is typically more appropriate from women than men because of that. The gain in hairline advancement is typically between 2-4cm for most patients. Hair transplantation at this point in time involves sharing density of hair from the sides and the back of the head up to the top of the head. Follicular Unite Extraction (FUE) or the Strip Technique (FUT) can both be used to obtain the grafts needed. The follicular grafts can then be placed to lower the hairline, change the hairline design, and increase overall density of hair in the scalp. This is a better option for patients with continuing hair loss. Hairline Lowering and Hair Transplantation can be combined to achieve a greater result in many patients. Hair transplantation can also be used to help camouflage the incision line of a Foreheadplasty. Most of our patients are also treated with Platelet Rich Plasma (PRP) mixed with either NanoFat or A-Cell Matrix in order to help maintain the density of the hair during either process. Does Forehead Plasty / Hairline Lowering leave a scar? When done properly, a Hairline Lowering procedure leaves a barely visible and well-camouflaged incision line. Commonly, patients may experience temporary hair loss or hypertrophy (thickening) along the incision line, which can be treated with topical medications and injections. Although hypertrophic scars may occur, they are typically mild and temporary. Keloid scars usually do not occur with these procedures. The incision design oscillates along with the natural hairline and is typically beveled against the grain of the hair follicles to allow for eventual hair growth into the incision. There should be minimal to no tension along the incision line when performing hairline lowering or brow lifting procedures to avoid scarring and traction-associated hair loss. What is the downtime or healing time for a ForeheadPlasty / Hairline Lowering? The procedure is typically done using Sedation anesthesia. Local anesthesia may be uncomfortable. Headaches are common the first two days. Sutures are removed at 4 days and 7 days in most cases. Bruises and swelling are common the first week and are typically improved by the second week. Most patients go back to work at the 2 week mark. At 3 months the incision may still be red and improving slowly and the eyebrows have usually returned to their resting position. At 6 months the incision is typically very difficult to see and hair has started growing through it. Sensation is still a little strange but gradually is improving. At 12 months most patients feel completely normal and have an incision that is very difficult to see. It is important to remember that changes and improvements will continue over 3 years just as they would with any simple paper cut. What is a normal forehead height? There are many guidelines and research articles describing the desirable ratios, proportions and height ranges of the aesthetically ideal forehead. Although these are helpful to novice surgeons it is important to remember that these only serve as guidelines. Tall foreheads can quite certainly be just as beautiful as shorter foreheads. Hence, there is no forehead height that we can call normal. Rather, it is more beneficial to analyze the face as a whole and determine what would give any particular face a better harmony, typically without drawing too much attention to an overly prominent forehead. Although most surgeons try to obtain a height near the national averages of 6-10cm, we prefer to treat each patient as an individual. What are the common risks or concerns with getting a ForeheadPlasty or Hairline Lowering? Complications with Hairline Lowering procedures are quite uncommon when performed correctly. Rare risks include asymmetry, changes in brow height or brow character, scarring, unnatural appearance, excessive shortening, permanent numbness, and motor nerve weakness. Most patients experience numbness that resolves over the course of a year as well as a small amount of hair shedding from the stress of the procedure. More significant hair loss, or Telogen Aflluvium, is uncommon. When performed by a skilled practitioner, the hairline lowering procedure is a very low risk and very high yield procedure that can predictably improve the harmony and balance of the face.